When Chinese officials discovered a business opportunity in the fast-growing West Asian halal food market, they turned to Wang Meng, who prefers to introduce himself as �Sayyid� when he meets foreigners. Twelve years ago, Mr. Wang, who is from China's Hui Muslim minority group, founded a halal food company in Beijing to cater to the city's Muslim community. In a country where pork is the dominant meat � consumed in every restaurant and found on most dinner tables � Mr. Wang felt there was a crying need for a brand of food that ensured the strictest quality control. A brand, he said, that Chinese Muslims could trust. Today, Mr. Wang's Xiangjuzhai Foods Group is one of Beijing's biggest halal food suppliers, and has been approached by the government to play a role in its ambitious plan to build a dominant halal foods export industry to cater to West Asian markets. With the support of the government, Mr. Wang's company will, next year, begin exporting its halal products to West Asian countries, Malaysia and Indonesia, at competitive prices that traders say will challenge dominant halal exporters around the world, including those from Brazil and India. China's growing halal trade is only one part of a wider push to expand ties with the Arab world beyond oil, which makes up a bulk of the trade now. China is dependent on the region for its growing energy needs, importing 55 per cent of its oil. This week, China launched its biggest effort yet to tap West Asian markets in Yinchuan, the fast-growing capital city of Ningxia, a dry desert land home to the Hui. Ningxia, where two million Hui Muslims live, making up a third of the population, is being developed into a �strategic centre� for China's West Asian trade push. The government is looking to leverage the region's religious and historical connections to the Arab world � Huis descended from Muslim traders who travelled to China on the Silk Road � to boost trade ties. At a China-Arab States trade fair in Yinchuan this week, the government sought Arab investment in the construction of a $300-million industrial park, four five-star hotels and a number of infrastructure projects listed in its Five-Year Plan, announced earlier this year. 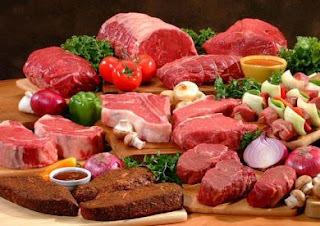 China's plans, in the food processing sector for example, will have an impact beyond the region. Mr. Wang said Ningxia was in the process of setting up a halal certification system � with Malaysian help, to boost its credibility � and had received the support of Qatar and the United Arab Emirates. According to the local government, nearly 10,000 companies are now involved in Ningxia's $3.7-billion halal food and Muslim products industry. Mr. Wang, of the Xiangjuzhai food company, said Ningxia's preferential policies for �Muslim products� had led him to invest in a factory near Yinchuan. With government support, low investment costs and huge infrastructure investments in Ningxia's processing centres, companies like his, according to many traders at the fair, will pose a serious challenge to the Brazilian, Australian and Indian players who dominte the halal foods market. 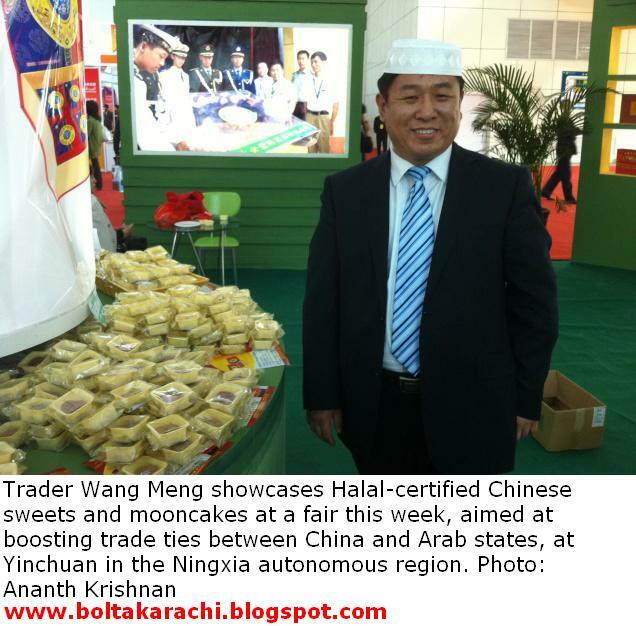 At this week's fair, he said, a number of Malaysian and Indonesian investors had expressed interest in his halal products, from traditional Chinese mooncakes to bread. Mr. Wang will also visit India later this year, to meet with potential trading partners.